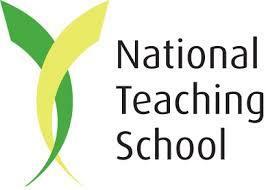 Gearies Primary school was awarded the prestigious honour of becoming a National Teaching School in April 2014. We support school improvement with our strategic partners in our Teaching Alliance, the Gants Hill Partnership. The University of London: Institute of Education as a major strategic partner. The purpose of the “Gants Hill Partnership” is that, working in mutual partnership the member schools will raise their standards of learning, pupil achievement and teaching and enhance the quality of their leadership and management. Each member of the Partnership will agree to share aspects of its good practice. We will raise standards in all member institutions in learning/pupil achievement, the quality of teaching and the quality of leadership. We will provide access to professional development. We will contribute to the cohesion of our wider community. We will improve our knowledge of relevant aspects of pedagogy. We will provide timely responses to external initiatives and published research, as support and challenge. We will sustain links with a relevant HE institutions for further support. We will improve aspects of transition to achieve continuous learning experiences for our pupils. The Partnership will agree a clear focus for learning at the start of the academic year. Each member will share their learning with the whole community and make this available to others outside the Partnership if appropriate. Each school will contribute to and receive constructive feedback on school improvement. There is an expectation that an appropriate representative from each school will attend all Strategy Group meetings. Failure to meet all responsibilities may result in a review of membership and denial of access to our support. All information gathered will be shared within this Learning Community. This will remain confidential within the Community. The Community reserves the right to control all information sharing with third parties and will exercise discretion in this matter.